Everything was better than dreamed, beds too! Our warmest recommends to everybody from babies to grannies. 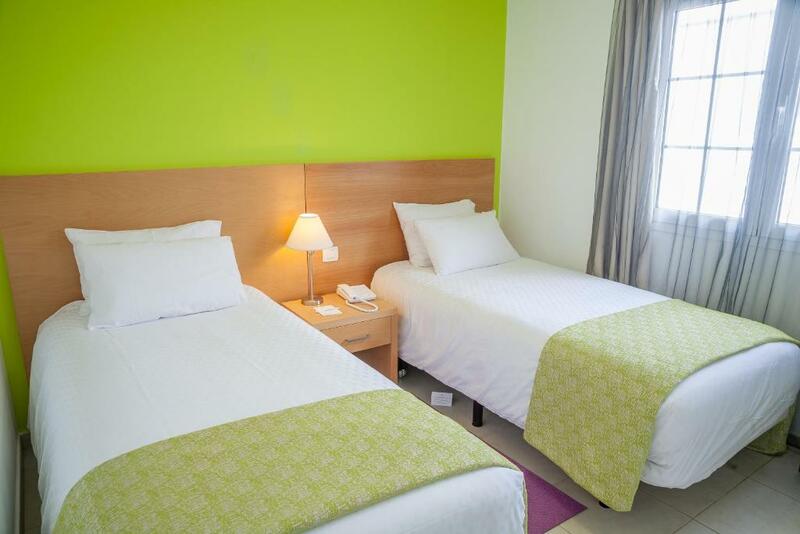 CHildren couldn't have nicer place with plenty of activities like own pools, games, mini golf area, playgground. Kitchen was equipped top well with high quality tools, pans and pots. Lovely open feel to the complex. Plenty of space between the apartments and villas. Not too close to the town itself and a great place from which to explore the island by car. Beautiful gardens, peaceful atmosphere, spotlessly clean and spacious apartment, lovely pool area with warm water, no problem getting lounger by pool. Staff all really helpful and friendly. Taxi rank outside the door very reasonable prices to playa blanca. Small but excellent water park nearby. Also enjoyed morning walks up the mountain for spectacular views. The reception staff were really friendly on check~in. There was tea, coffee and sugar in the accommodation, enough to get you going before going to the supermarket. The ATM up the road BTW charges €2.50 to make withdrawals. There's happy hour at the pool bar 4.30-6.30pm😀again, staff are great. Everything was spotless. The staff were also very nice and helpful. We moved from our original holiday in Gran Canaria due to bad weather to this beautiful hotel in lanzorote, best decision we ever made! This place exceeded all expectations! The rooms are just like the pictures, the staff go above and beyond to help and make you feel welcome.... the pool area was lovely a baby pool then kids pool and an adult pool all heated! The the bar/restaurant was lovely/welcoming and cheap... (proper English breakfast - €2.50 Just a 3 minute taxi ride to the town/coast (€3-€4 ) a 15 minute walk to small lovely little beach with with bars, restaurants & shops, on the way to the beach you pass the walker park 😊 We had the best family holiday.... Will be coming back next year with the rest of the family! Lock in a great price for Jardines del Sol By Diamond Resorts – rated 9.1 by recent guests! 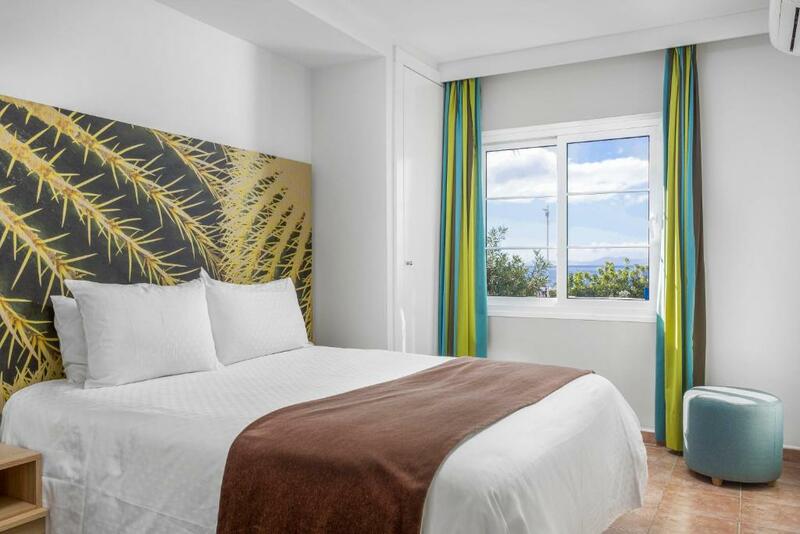 Jardines del Sol By Diamond Resorts This rating is a reflection of how the property compares to the industry standard when it comes to price, facilities and services available. It's based on a self-evaluation by the property. Use this rating to help choose your stay! 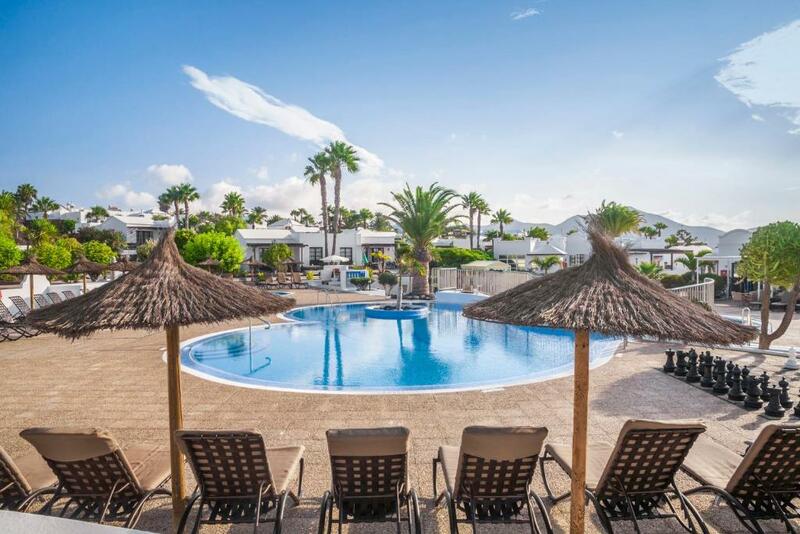 A short journey from Lanzarote's fabulous beaches, these stylish apartments are built in a characteristic, white-village design and have a great outdoor pool. Enjoy the landscaped gardens and bar-restaurant. Free WiFi is available throughout. Soak up Lanzarotes sunshine on the private balcony of your Jardines del Sol Bungalow. Be adventurous in the kitchen and lovingly prepare meals in the well-equipped interiors. Relax with a drink in the stylish living area. Kids will have fun and make new friends in the play area and you can have fun with all the family on the over-sized chess set. Enjoy a quiet read in the shade of the exotic plants of the Jardines del Sols pretty gardens. This property is also rated for the best value in Playa Blanca! Guests are getting more for their money when compared to other properties in this city. 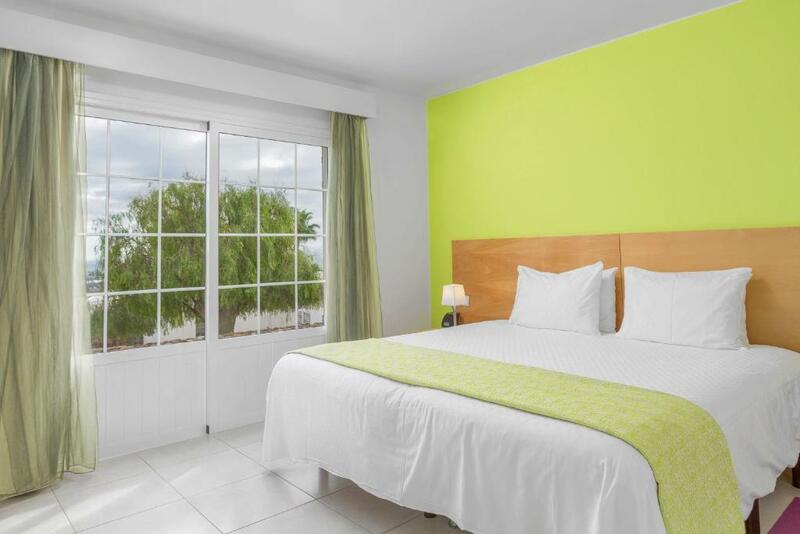 When would you like to stay at Jardines del Sol By Diamond Resorts? 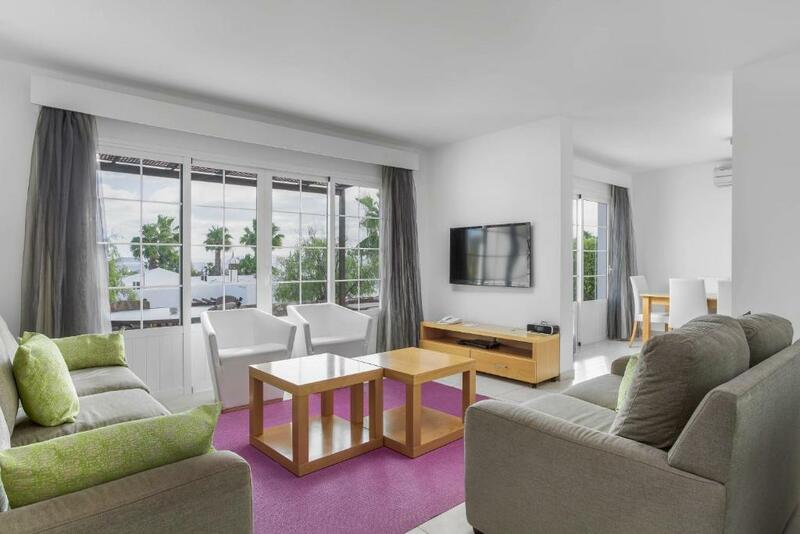 This air-conditioned apartment includes a balcony, spacious living and dining areas and a full kitchen with a microwave, a dishwasher and a washing machine. 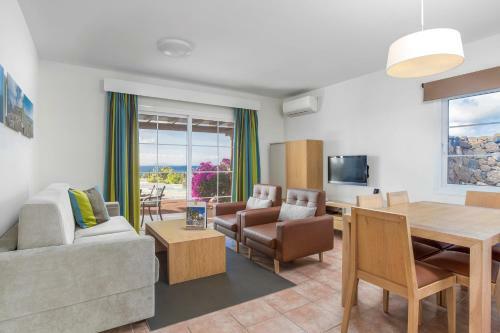 This large, air-conditioned villa includes a balcony, spacious living and dining areas and a full kitchen with a microwave, a dishwasher and a washing machine. Have you ever dreamed of lazing on white sandy beaches, enjoying water sports, and staying in accommodations fit for royalty? If so, then the answer to your prayers is located on the southern tip of Lanzarote, near the town of Playa Blanca in Spain. Enjoy Jardines Del Sol resort, which is just a 25 minute walk away from some of the most beautiful beaches in the world. Built in the style of a Spanish pueblo blanco (white village), Jardines Del Sol is the ideal getaway for vacationers of all ages. You can find plenty to see and do right around the Jardines Del Sol resort, and if you want a little extra adventure, you can take a 45-minute ferry ride to the island of Fuerteventura. Enjoy cloudless blue skies and sunshine no matter what time of the year you want to travel. Swim in waters that are calm enough for swimmers of all levels, including young children. 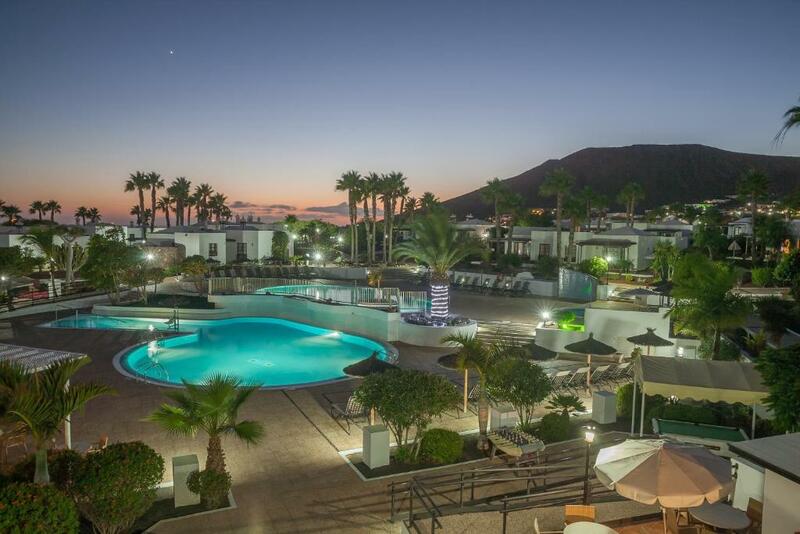 Relax by the pool, take a tour of the island, and enjoy everything that Lanzarote has to offer. House Rules Jardines del Sol By Diamond Resorts takes special requests – add in the next step! A EUR100 damage deposit is required on arrival (around USD112.44). This deposit will be fully refunded 14 days after check-out, as long as there isn't any damage to the property. Jardines del Sol By Diamond Resorts accepts these cards and reserves the right to temporarily hold an amount prior to arrival. When booking 5 rooms or more, different policies and additional supplements may apply. Please contact the property in advance for details. Please note that children of all ages are included in the maximum occupancy of the apartments. If you have any accessibility requirements or needs that you wish to discuss, please contact the property within 48 hours of booking. Adapted units are assigned on a first come, first serve basis and are subject to availability. A damage deposit of EUR 100 is required on arrival. That's about 112.44USD. This will be collected by credit card. You should be reimbursed within 14 days of check-out. Your deposit will be refunded in full by credit card, subject to an inspection of the property. Please inform Jardines del Sol By Diamond Resorts of your expected arrival time in advance. You can use the Special Requests box when booking, or contact the property directly using the contact details in your confirmation. A bit of a walk to the main town, but plenty of taxis outside the gates for around €3. Lovely walk once you're on the sea front though. We also had a pair of Sandles go missing from the accommodation, can only assume they were taken from the terrace area. You have to pay extra if you check in an hour early. It just seems penny pinching. Free Wi-Fi is a recent development, but it wasn't the most reliable. Very well equipped apartment. We cooked most of own meals rather than going out every night. Quiet and comfortable place, with a nice pool and terrace with a pool bar, but we didn't use it this time. Location means that having your own car is a great help, but there is a good circular bus service (the Number 30) that runs every 30 minutes from the bus station. It was quite a walk to the port, shops and restaurants. Need a car really as no buses nearby although taxi's were quite cheap. Very clean and comfortable, with all mod cons. Comfortable bed.